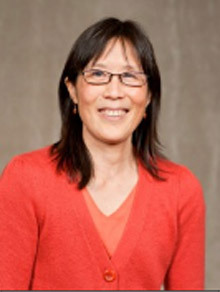 Dr. Hiramatsu has been with Castro Valley Pediatrics for 20 years and was last named in Best of Oakland 2011. She has a BS in Genetics from the University of California at Berkeley and MD from the University of California, San Francisco. She completed her pediatric residency at Children's Hospital Oakland. Dr. Hiramatsu has served as the Northern California chapter president of the American Academy of Pediatrics. She is the chair of the editorial advisory board of AAP News. She currently serves as a regional representative to the national American Academy of Pediatrics. She was recognized as one of the "East Bay's Best Doctors" for 2008. Dr. Hiramatsu is proficient in Japanese. Dr. Hiramatsu also directs a free medical clinic in San Leandro, CA.